Formed in 1987, the band maintains an acclaimed trajectory which includes multiplatinum albums and numerous presentations in the most successful and well- known festivals across America (as an example of their massive impact across the continent, the band has performed in Reggae on the River in California, Rock al Parque in Bogotá, Vive Latino in Mexico, Pepsi Music in Buenos Aires, Cosquin Rock in Cordoba, Quito Fest in Ecuador and various appearances in the prestigious Festival de Vina del Mar in Chile). A surprising aspect of Gondwana is their notable digital activity track record as demonstrated by their ever-growing YouTube fan-base (over 40 million views) and an average of 30,000 monthly visitors access the band’s official webpage. This can be attributed to a rarely witnessed romance between the band and its fans. The fact that the band maintains such incredible web fan base demonstrates what a massive impact the band has in order to reach millions of young hearts across the world, especially considering that the band has lacked the support from prominent producers or the support of a music label during recent years. 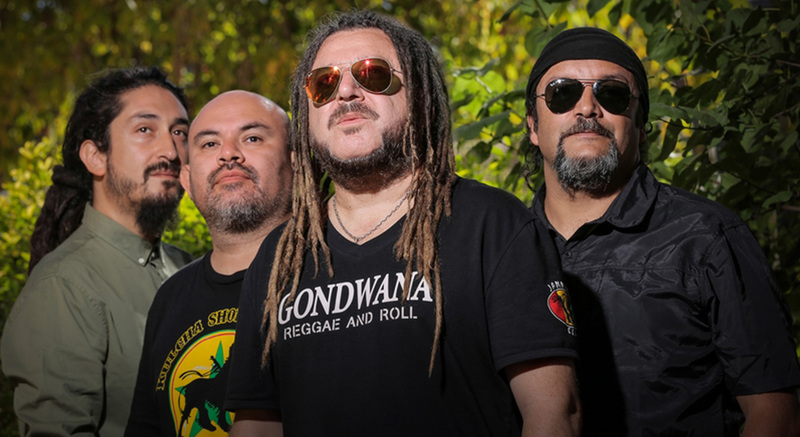 After editing their first CD and DVD live set, recorded in Buenos Aires in 2010, Gondwana began 2011 ready to further increase their already busy agenda. 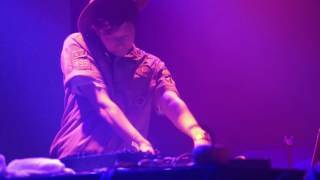 At the beginning of the year the band released their first official best-of (with the active participation of the band). The album is titled Pincoya Calipso, edited by Sony Music, in which 17 songs are compiled from the band’s catalog along with a re mastered sound and adding two new songs. These two songs are an anticipation of their new studio album which is set to be released in August. After touring through various Chilean cities, Buenos Aires, Montevideo and Caracas, the band began to prepare and record their upcoming new album within their own studios and the incorporation of their new lead singer, MC Jona, who has already recorded the vocals of two songs that will form part of a Bob Marley Tribute album which Sello Pop Art will soon release within the continent. Since 1997 until today, the band has finished 5 studio albums, a dub album and three best-of’s; all of these were released in the USA as well. Their discography has been published across the globe through the specialized record company, RAS Records; to this date, the band has surpassed the 450,000 mark for sold records. They’ve also had 9 platinum albums in Chile and a history of over 800 concerts. Songs such as Sentimiento Original, Nuestros Suenos, Chainga Langa, Armonia de Amor, Antonia, Verde Amarillo y Rojo, and Dulce Amor have already become classics that have not just withstand the test of time, but have also broken musical boundaries attributed to their shows in 17 different countries. During the past three years, the reformulated nine-member band has visited numerous international stages. Countries in Central America, Latin America and Europe have witnessed their tremendous talent; they have become in the band with the highest international activity within Chile. Gondwana is one of the bands that heads the Latin Reggae movement, along with Los Cafres and Cultura Profetica. The three bands shared the same stage in nearly 10 separate occasions.